Of course! There was never a 'true' water-themed aeon that we ever hear of in the Spiran lore. It turns out that Tidus would be the chosen vessel for Leviathan: The 300-mile-long demon that would destroy and recreate the world anew! And if it's possible to turn incarnate spirits into Fayth, then maybe Seymour can become Odin! Edit: EVEN BETTER, Auron shall be the Pheonix!!! Yo, I haven't been here since Tidus got his head blown off. Great job Chercher for finishing the translation! I have to ask though. Do you guys think it's a good idea to be posting Fan-Fiction right on top of the ACTUAL translation like that? I'm not trying to be rude!!! I'm just concerned that the legit book is going to end up buried under this stuff. Well, about Yuna and her tendency to keep **** from everyone else, it's perfectly foreseeable. After all, she did keep Jyscal's sphere from her guardians and proceeded to marry Seymour fully knowing about his being a murderer and his schemes, and, had that nun not found the sphere, they would probably find out about her plans right at the last minute. This reminded me of the talk Tidus and Auron had about Yuna's decision to marry. He had said that she wanted to "negotiate" with him, but he never said what exactly. Later when I replayed the game, it occurred to me that the "negotiations" were actually regarding to Seymour being willing to become Yuna's FA... Just an idea. The fayth of DZ were most likely brainwashed into becoming so. The novella states that Yu Yevon and Yunalesca used to brainwash their forces into being suicidal, whether they were men, women or children. It's not unlikely that they were forced to do this: even though it's required that the person undergoing the change must be willing to do so, they could be induced into it by magic or religious influence. Well, I've had a discussion with the author and as long as "fan-written" is visible in the title of the topic, I don't mind. It's not as if a lot of people ended up there everyday. But your concern is appreciated. That is a legitimate concern, and I want to be clear about one thing. It's not so much a fanfiction as it is a restoration. I plan to retain as much of the original content as I can without deviating from its intended meaning. Sure, my work is unofficial, more so unofficial than ObscurChecheur's translations, since Square Enix never approved (or met the willingness of anyone to do so) its translation outside France and Japan, and I shouldn't really compare my work to ObscurChecheur's since they are two completely different projects of the same title (and I feel his project is way more legitimized and acceptable than mine), but I do feel a bit offended you would debase my decision to embark on such a project by calling it 'fanfiction' when it is not. Not completely, at any rate. Aside from that, I am happy to know you a member of our community and are enjoying our threads of discussion. I know the novel leaves much to be desired, especially its questionable state of brand-new canon material, but I hope you enjoy reading along to my rewrite of it. :3 I plan to post it publicly outside of this forum once I finish it here, complete with final edits and a dedicated page of disclaimers and everybody involved here in this forum who worked on the novel's English translation (unless anyone here is adverse to the idea, please do let me know clearly and right away, don't pull any of your punches, honesty is the best policy). The way I see myself in this Restoration Project, I am the main writer/author, yes, but I am not the only one. We are all writers, creative in our own ways -- let it be editing, translating, interpreting, or researching (and et cetera). We are a team, and I don't plan to take any ill-due, sole credit for it. You know what, I think a lot of fans underestimate Yuna's ability to angst. So many of us, even Square Enix, arrive at this assumption that Yuna's this young girl who loves to dream and chase after her one true love without falter, who's one selfish wish was to live a normal life, free of obligation, and have a future with this dazzling boy who rocked her world; yeah, I guess that's the positive way of looking at it. There's even two happy endings given to us to cement that impression into our minds. But honestly, I think a lot of people are afraid to put her in any miserable, tragic situation that they feel is the slightest bit unwarranted, because she's already been through too much in-game. Or at least, find themselves unwilling to or incapable of portraying her depression/angst/issues realistically and IC. Or are content with keeping her perfectly happy with Tidus, because how could there possibly be any more issues between after everything they endured? Really, it's so saccharine, I get nauseous. I never considered Yuna a "pure" or "dark" character, just neutral. That right balance of hope and passion and melancholy that's stuck between the extreme, opposite spectrums of Tidus (bright, sunny, inquisitive, child-like soul) and Seymour (corrupt, cynical, tortured, lost soul). We see Yuna run towards the light, in FFX-2, and now we're seeing her fall into the dark, in FFX-3. I think the series really portrays her character development in such a flawed and fascinating light. Besides Tidus, I think Yuna can easily be a broken base in fandom. Or is that my unpopular opinion cuz I don't believe in fairy-tale happy endings and I'm a nerd for realism? Hey Danko! First of all, I didn't mean to offend you in any way, nor did I intend to use the term "fan-fiction" in a derogatory manor. I simply called it fan-fiction because to me, that's essentially what you're doing. You're taking the "official" (or whatever you want to call it) book and expanding upon it with your own interpretations and ideas of how events, narrative, characters, dialogue, etc... should play out. Once again, that's fan-fiction to me.. Or fan-expansion if that's more accurate. The only reason I brought it up was to make sure that everyone was ok with where it was being posted and since Chercher doesn't care, then that's that! At this point, you can throw all of the characters into a Hunger Games arena, see who comes out on top, and call it a night for all I care. It's really saddening, but I feel like I'm one of the very few who honestly likes the novel despite its glaring, resentful... flaws. XD I mean, there are plenty of things to hate and criticize, but... I feel like... Sigh. People say whatever they want, but by the end of the day: no one really cares about -Will- or The Price of Eternity and prefers it never existed. I feel alone in my optimism. Funny enough, the more I learn about it, discuss it, etc, the more I'm open-minded towards its canon, which is the exact opposite of everyone else who lost faith in it as more and more time passed. I guess I just feel alone in my optimism. What's really saddening is that a lot of people see no further than the end of their nose. A noteworthy passage is Tidus' death. People keep in mind his decapitated head, but few wonder from where comes the ball which killed him. Nojima has dispersed hints to explain the truth, and I've already explained a part of this truth. Of course, I may be wrong but there are too many coincidences. I can see where the rest of the story could be heading, the bottom line is that having a main character's head randomly get blown off and land in his girlfriend's lap is comically cheesy. I was cracking up! How am I supposed to take that seriously? If I were you, I wouldn't be too upset about it all because I doubt Square Enix will consider this novel canon and if they do, I'm sure it will eventually be ret-conned, considered as an alternate time-line, or thrown out completely as non-canon. For the record, I didn't think the audio drama was that bad and I think it's something that they COULD work with. Fiction does this all of the time. Look at Zelda, Star Wars, super hero franchises, or countless other works of fiction that constantly create alternate timelines, ret-con things, and in Star Wars case, dismiss countless works as non-canon. Fiction does this all of the time. Look at Zelda, Star Wars, or countless other works of fiction that constantly create alternate timelines or in Star Wars case, dismiss countless works as non-canon. This is exactly what I was thinking about in regards to this new canon. We all know it's highly controversial. Heck, Square knows as well. Considering how much they twisted and turned XIII's lore, it won't surprise me if they eventually do come out and regard this as alternate universe. Nojima already considered it an 'expansion to the world,' as vague as that might be. 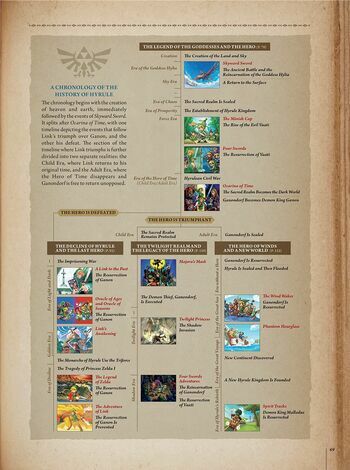 For example, they came out with the official timeline for the Zelda games, yeah? It starts with what I call the 'Master Canon,' that is Skyward Sword to Minish Cap to Four Swords to Ocarina of Time. However, when it gets to Ocarina of Time, that's when the timeline is split up into three different universes. It wouldn't be entirely taboo to do something like this with such a versatile universe like Spira, right? A lot of animes like Evangelion and Clannad do this as well. You have the 'Master Canon' that is FFX and FFX-2, then after their events the timeline splits into two different universes. In one universe, Tidus and Yuna aren't entirely happy and 'accepted' upon returning to Besaid, hence the events of Price of Eternity and Will. On the other hand, he and his friends lead a much more enjoyable future which leads into a separate universe. I know, Nojima's the Word of God and we should all treat his work like holy scriptures, but at least if I was intent on milking the universe of Spira VII Compilation-style without p*ssing off all of the fans, I would consider something like this. Joking aside, now I wonder if Nojima plans to piggy back on those alternate endings to create multiple universes. He already did it with FFXIII-2, inevitable considering it's time travel, but I don't see the point in giving players their choice of an ending when SE decided on a "True Ending" anyway and went off from that with FFXIII-3. We've already been exploring the alternate endings through fanfiction, and there are a lot of them worth their mettle and creativity. What else can Nojima bring to the table that we haven't already imagined? If the events of Will and Price of Eternity are the result of the Good Ending, ultimately leading to the Perfect Ending, and that's what we consider the unhappy timeline for Tidus/Yuna, then what does that make the Sad/Normal/Bad Ending? Where Tidus never comes back? Does that mean the timeline where Yuna and friends are happier and in a much less messed up world is the Sad Ending? We know that with the Bad Ending, sure, everyone in the Farplane is alive, but everybody else on the surface are decimated, ruining the chance for FFVII to happen in canon. And then there's the Normal Ending, which to me is the only real ending, because that one never changes. No matter how you look at it, Tidus and Yuna were never meant to be. Which is really cruel, because apparently it wasn't enough hammering that bleak point home in FFX. They just gotta beat the dead horse until it's unrecognizable. To demonstrate, I've made up my own little timeline. Apologies if you can't read my handwriting, but you see what I'm getting at, right?